As the current White House and Congressional Republicans continue to snipe at the Affordable Care Act, some states are taking action to shore up the federal healthcare law through a variety of approaches. California state legislators may have offered the most daring approach to healthcare in recent months. The proposed California Health Care Price Relief Act would form an independent state agency, the California Health Care Cost, Quality and Equity Commission. The agency’s mission would be to control in-state healthcare costs by setting the amounts accepted as payment by health plans, hospitals, physicians, physician groups, and other health care providers. The bill requires the commission, beginning July 1, 2019, to annually determine the base amounts that health care entities would be required to accept as full payment for health care services. It would specify that the base amount for a health care provider shall be a percentage of Medicare rates not lower than 100% of Medicare rates. The bill would permit a health care service plan or health insurer to negotiate a contracted rate that is not based on Medicare rates. While the proposed bill may cap the rates for services covered by major health plans, including employer sponsored and individual marketplace plans, government sponsored health services, such as Medicare and Medi-Cal, would be unaffected. One of the major advantages cited in support of the proposed legislation is that it would provide uniform rates and transparency on medical service costs. This would give the insured a better idea of the cost for the medical treatment they are getting. Many consumers and labor groups are in support of the California bill. Some policy makers and health care providers, however, are in extreme opposition to the proposal. They feel it will directly affect the quality of the care available to individuals and drive out doctors and hospitals due to a reduction in healthcare funding. If successful the bill could close the gap in medical expenditures between covered individuals and major healthcare providers. This could set the stage for other states implementing similar methods. While the proposed California legislation is still in the early stages, what appears certain is that states like California are going to be taking the initiative to resolve the problem of rising healthcare costs as the federal government continues to work to undermine the impact of the ACA to provide affordable healthcare coverage to consumers not covered by employer-offered health insurance. This is only going to make compliance with the ACA and state laws more complex. Some companies have been standing on the sidelines waiting for the ACA to be repealed by Congress. Based on the current legislative inaction at the federal level, you may want to reconsider that approach. The IRS is enforcing the responsibilities for applicable large employers (ALEs), organizations with 50 or more full-time employees and full-time equivalent employees, that under the ACA are required to offer minimum essential coverage to at least 95% of their full-time workforce (and their dependents) whereby such coverage meets minimum value and is affordable for the employee. 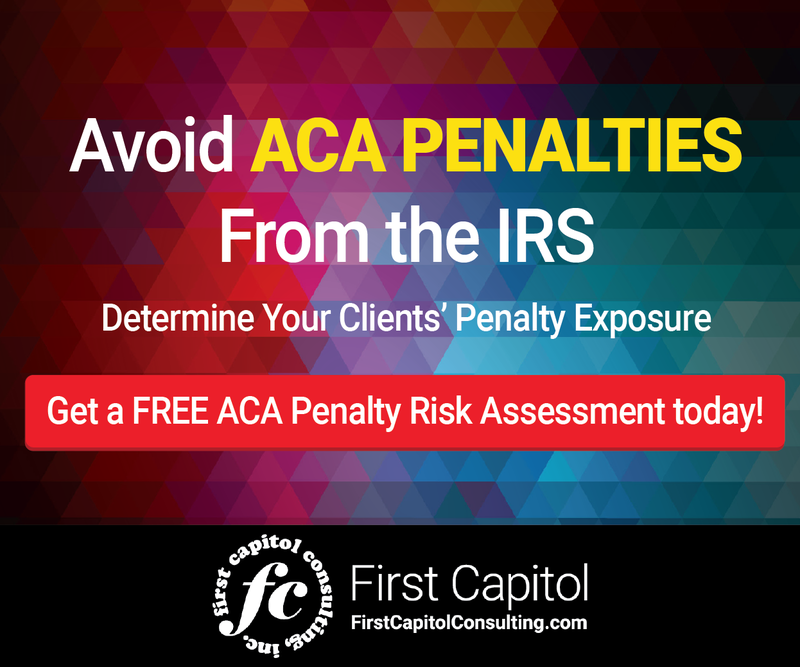 Failure to do so may subject organizations to significant IRS penalties and financial stress. 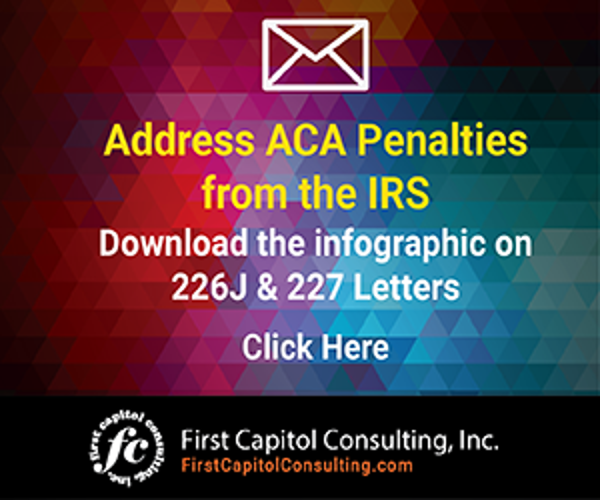 The IRS is issuing ACA penalty assessments in Letter 226J, which is being sent to employers the agency has determined did not comply with the ACA, starting in 2015. If your organization has received Letter 226J, see the infographic below on how to respond.